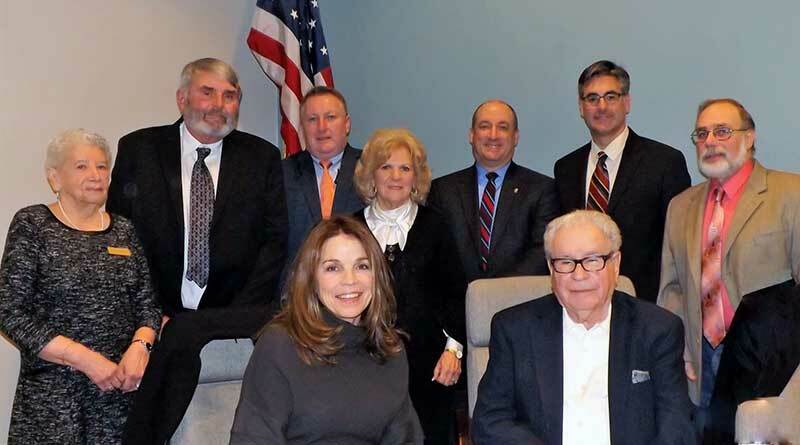 Bridgeville Borough government leadership is comprised of the Mayor, Council Members and other officials who are either elected or appointed to their posts. Below are the members of your local government. You may write to them individually or contact the Borough Office here with regard to Borough business. Seated: Councilwoman Virginia Schneider; Councilman Nino Petrocelli, Sr.
Generally, Borough Council Meetings are held at 7:00 p.m. on the 2nd Monday of each month. Agenda meetings are at 6:30 p.m. and voting meetings at 7:00 p.m.
Planning Commission Meetings are held at 7:00 p.m. on the last Monday of the month — with these exceptions — May 21, and Nov/Dec meetings are combined on Dec 2. Bridgeville Public Library Board Meetings are held at 7:00 p.m. on the 3rd Tuesday of each month in the library community room.